Based on the novel by British writer Liz Jensen, this psychological thriller has an interesting premise and a good cast. Much of it happens inside the head of the eponymous Louis (Longworth), a nine year old boy with a remarkable, accident prone history. He has survived eight serious accidents, accidents which should have killed him. But when he falls off a cliff into the water below on his ninth birthday, Louis’ cat like luck seems to have deserted him and he appears to be dead. But in the morgue he stirs and the hospital realises Louis is actually in a coma. 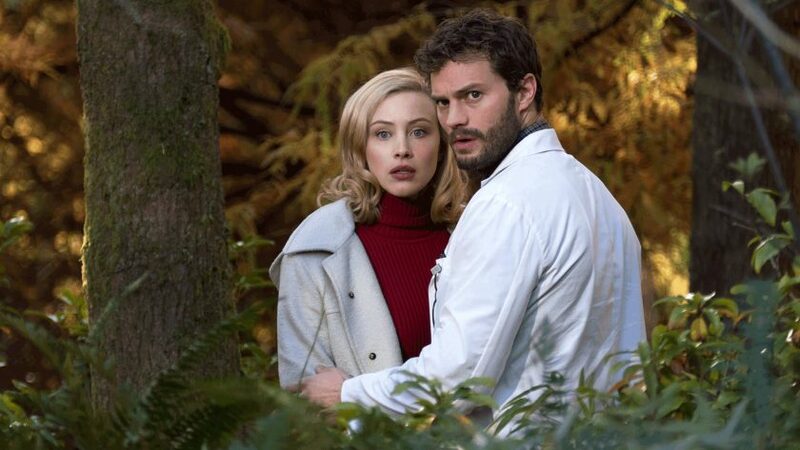 His doctor Allan Pascal (Dornan), a man of unorthodox methods, establishes a telepathic link with the unconscious Louis but his efforts to unravel the mystery of the boy are complicated by the disappearance of the child’s father Peter (Paul), who may or may not be responsible for Louis’s accident, and Pascal’s growing attraction towards the boy’s mother Natalie (Gadon). Despite those reservations the film that has been made is still intriguing and well acted. Gadon, a very versatile actress who is different in every role she plays, is unsettling as Louis’s attractive but obviously manipulative mother, though you’re never sure what exactly is her agenda. Dornan as Pascal and Paul as her husband are also strong, as is 12 year old Longworth. Good supporting performances too from Molly Parker as the acerbic and sceptical detective investigating the accident and Oliver Platt as Louis’ psychiatrist. The structure of the piece, which combines flashbacks of Louis’ life before the accident interwoven with both dreamlike scenes inside his coma bound mind and with the present, is clear and works well. The film does though at times fall between the stools of psychological thriller and horror movie with the introduction in Louis’ coma world of sequences involving a spooky, deep voiced figure coated in mud and seaweed, which also overflow into the “real world”, where they detract from the conviction of the psychology and para psychology element introduced by Pascal’s character, making the film feel not quite fish nor fowl.